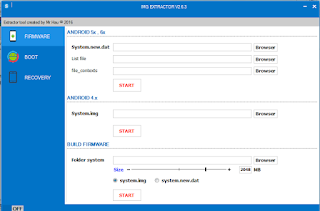 MTK extractor is a small portable application popular at present, which allows you to extract a form of the system.img and system.new.dat as well. MTK Extractor software allows you to easily download and work. If you are interested and want to free download it on your computer windows. MTK extractor is very good for the computer work in a variety of file format, which must be completed extractor work. 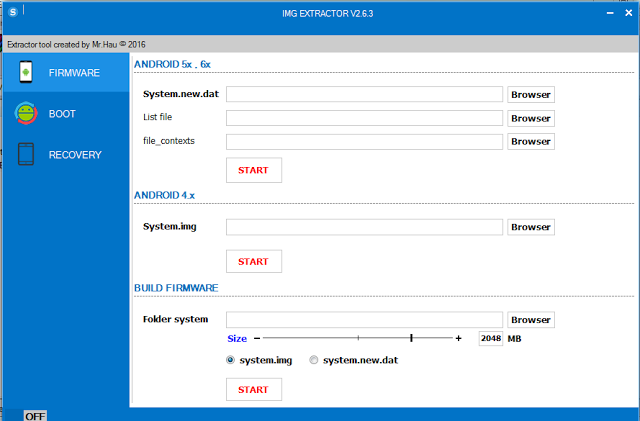 MTK IMG extractor tool lets you extract system.img file and then allows you to repack it. It is a portable application, which means you don`t have to install it on your computer to use it. any modifications) into a boot.img file. At first, download the MTK extractor software on the website. Then click to install this software. Then take or download the Zip file. Now double click on the zip or folder. Then go to the system.new.dat tool option to click. Then browse the folder or file or video. Then select the system.transfer.list option to place the file in it. Then unpack option to click. Then wait and done the MTK extractor folder or file. This way you can unpack and repack. Credits : MTK Extractor is created and distributed by MR.Hua Thank you Very Much For Sharing this tool free.